The body of this exhibition was created last year from participants in a class called "Creative Living for Health and Wellbeing", using creative processes to make sense of and support the healing of trauma, life impacting experiences such as stroke, grief and depression. A survey of new forms of comic-making and narrative art by Māpura Studios artists, with particular focus on the Mairangi Bay North Shore and TV Competition: FutureFutureFuture cartooning groups. Click here for more images and artworks…. The mahi is dedicated to the courage and resilience of women’s suffrage, to the invention and adaptability that creates change. Everyone is welcome, nobody is left out. Click here for more images….. Awesome celebration of all our artists for fabulous year . We had pizza, strawberries, music, dancing , song and more…. Click here for more images…. Ako- in a reciprocal learning relationship teachers are not expected to know everything. In particular, ako suggests that each member of the classroom or learning setting brings knowledge with them from which all are able to learn. Check out our fabulous fundraising day. Thank you to all who came along. Mapura Studios Performance Art Group in action: The InterAct Festival offers an opportunity to celebrate the achievements of disabled people in the arts and creates a pathway forward toward a thriving and vibrant future for Disability Arts in New Zealand. In the October 2018 school holidays, we got out of the studio and into the mall! Westfield St Lukes, (centre court near Farmers and the Westfield School Holiday Programme). Our artists’ work was on display – plus there was an opportunity for the kids to get stuck in with art activities. We hope to do it again in January 2019. In collaboration with Pah Homestead, we explored what effect art making and art viewing can have on your well-being. When we engage in creative play or carefully observe an artwork, we also creating an opportunity for a transformative experience. Andrew Young has been a leader in the healthcare sector for almost 20 years and firmly believes in the healing power of art in hospitals. Jimmy James Kouratoras has always worked with his hands and is descended from a long line of artisans, believes in the healing powers of art through personal experience.Diana McPherson is Director of Māpura Studios and talked about the work we do and believe in here at Māpura. Professor Suzanne Purdy is Head of the School of Psychology at the University of Auckland and Principal Investigator in the University of Auckland Centre for Brain Research (CBR) and the Brain Research New Zealand Centre of Research Excellence. 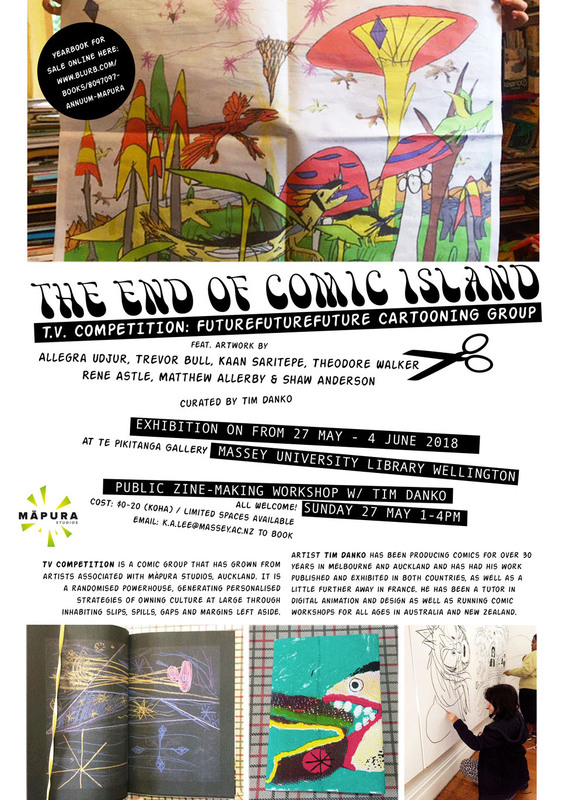 An exhibition of comics and zines by TV Competition: FutureFutureFuture based in Auckland at Màpura Studios. Consisting of A4 drawings pinned to the walls, shelves of cartooning group publications and a glass case of original sketchbooks. A Great Big thank you to all our Supporters and Artists. Imagining the Future is a Community day led by Mapura Studios for all to enjoy with a special Art Competition to encourage local artists and creatives to create a vision for the future of Albert/Eden in 20 years time. For winners and pics of the day and entry and fashion show images.. Check out more fabulous videos by Yung Chen of our 2017 Xmas Party. We had great fun! A meeting room is a transient space hosting varying groups with specific agendas. Unlike the stark white void of the gallery, the meeting room commands a certain type of behavior from its visitors with its practical furniture, patterned carpets and serene atmosphere. Considered painterly application of these impressionistic works provide energetic colour abstractions, playing with material, light and composition. 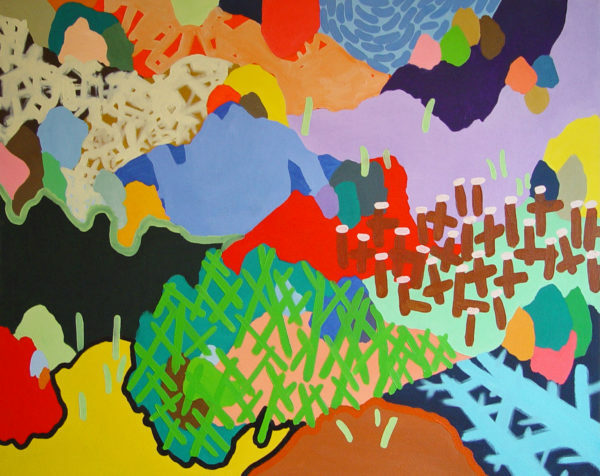 Vibration of complimentary colours and colour fields in these works express richness and warmth. 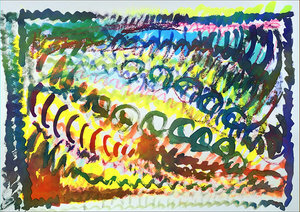 Their abstraction is an invite to pause and enter into the glorious world of colour. Māpura Studios is an outsider art studio for artists living with diversity and disability. We have a broad range of programmes across many media including music, movement, poetry and the visual arts. 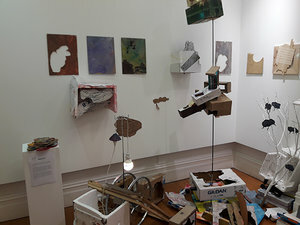 The ideas of many of our artists are outside the orthodox channels of thought which allows their work to reach formal solutions that are challenging and unique. The popular, free, late-night arts party returned on Saturday 18th March, 6pm to midnight. Greenwoods Kitchen, on Greenwoods Corner, Epsom took part in the celebrations, hosting artworks by Māpura Artists for the night and continuing the exhibition for 2 weeks. Greenwoods Corner is on on the White Nights Trail. Pizza,strawberries, music, dancing and singing!!! Fabulous fun was had by all our artists and tutors at our 2016 Xmas party in December. Somewhere between the known and the unknown, the seen and the unseen, there can be an understanding of form that can only be expressed emotionally. Māpura Studios presented five artists with extreme emotional intelligence heightened by creative thinking. Māpura Studios silent auction was a feature of the Attitude TV Awards. There was Excitement and heartfelt moments at the black-tie gathering to celebrate the achievements of Kiwis living with disability. We had a fantastic day, family fun for everyone! There was rain and sunshine and plenty of fun for all, great art workshops, Circability Circus performances, yummy food, games, a bouncy castle, plenty of music and awesome affordable artworks for sale by Mapura students. 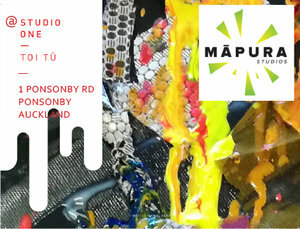 So Much There Is represented a living experience of art at Māpura Studios. The show demonstrated the rich diversity of our community inclusive of age, gender, physical and mental disability. How we are profoundly different from each other and yet united through creativity and human experience. 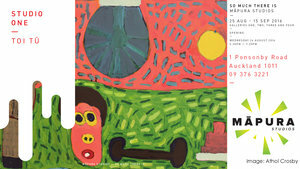 Māpura Studios and the Rotary Clubs of Mt Eden and Epsom hosted an art auction on 28 May 2016 at Pah Homestead, TSB Bank Wallace Arts Centre in support of Māpura's Stroke Art Therapy Programme and featuring works by renowned New Zealand artists.